When it comes to exploring Omaha, locals know best. 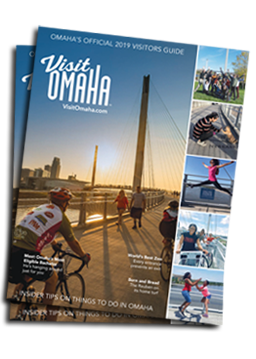 Get acquainted with Omaha experts ready to offer tips to help fill your Omaha itinerary. Pick an expert and click through to watch their videos, or go to 52 Weekends and view tips based on your travel party. Chad Chaney is a passionate beer guru who keeps the city toasting all weekend! Cody Fenske is a talented creative with a keen eye and ear for local art and music. Davina and Scott Schrier are lovers of Omaha art, music and community. Josh Cox and Josh Point, affectionately known as The Josh’s, love to explore Omaha neighborhoods in search of quirky, memorable experiences. Kim Reiner, local mom and mother of two. Expert in exploring Omaha and finding bite-sized fun. Friends wonder if Jasmyn and Daniel Goodwin even know how to cook, because they eat out so often. Parents to two very energetic boys, Lauren and Matt Huber are always looking for ways to entertain their kids. Full of love and laughter, Patrick and Marisol have been grinning at each other for more than 10 years. Susan Thomas and Steve Hutchinson are a happily retired couple enjoying every day like it’s their weekend. Laura Alley and Susie Smolder are like your favorite aunts who know all the best places and the best people in town. Paul Kulik is Omaha’s foodie master with the kitchen skills to make every meal a true culinary experience. Roxzanne and Ryan Feagan are mountain bikers, animal lovers, whiskey aficionados and community volunteers. Marisol Nguyen is a young food and arts enthusiast always ready with a delicious suggestion.